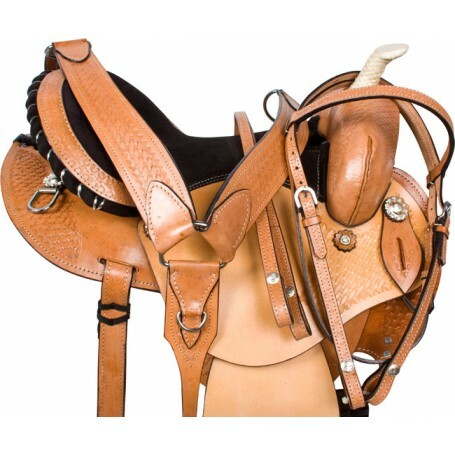 This natural mule saddle offers a solid basic design and classic features that make the saddle as attractive as it is functional. The round skirt design offers freedom of movement and the saddle comes complete with matching tack! Only $349.99! 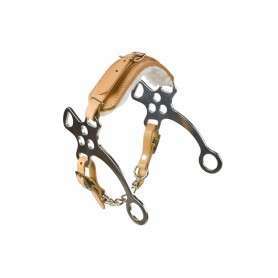 This natural, functional mule saddle offers a solid basic design and classic features that are sure to please. 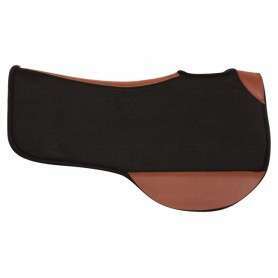 The deep padded suede seat, leather wrapped padded stirrups, basket weave tooling, Blevins buckles, ultra soft padded fleece and hand polished conchos provide this saddle with an attractive overall appearance that serves both form and function. This saddle is comfortable enough for trail riding, while providing a deep seat that can be used for speed events such as barrel racing. 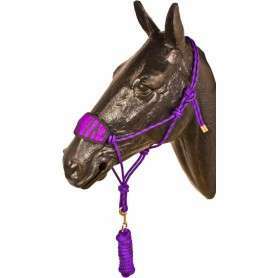 This saddle come with a tack set which includes the headstall, reins, and (heavy) breast plate.